The Finance Secretary asserted that: “It was empirically determined that youth unemployment among the 15 to 24-year-old cohort was at 21.6 per cent, representing almost twice the unemployment rate of other adults.” What this means in effect is that in gloating about “economic growth”, the Prime Minister ignores that from a human perspective, there has been no development, since the latter in mixed economies such as ours depends to a large extent on the populace having jobs that could allow them to live in dignity without depending on handouts. 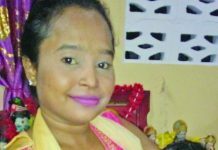 It is especially tragic that the greatest level of joblessness is found among youths, which have been augmented with the 7000 sugar workers who were fired along with several thousand Amerindians from the Youth Entrepreneurship and Apprenticeship Programme (YEAP). The “Rust Belt” of the US should remind us that a country can have all the infrastructure in the world, but if the people do not have jobs, then that country will go down the tubes. There is nothing wrong with infrastructure in and out of itself. Schools, roads, bridges, and hospitals are all good. The fact that they are built with loans that have to be repaid sooner or later is another matter that we will skip over for the moment. But of what use are schools if the graduates cannot find jobs with their “education? Of what use are roads if the ordinary citizens cannot afford the price of gasoline, much less the price of a car to get from here to there, because at best they are stuck at subsistence wages if they’re lucky enough to have a job? Of what use is electricity when the poor housewife can’t even pay her “light bills”? When a person has a job that can provide the basic needs of his family – food, shelter, clothing and perchance, transportation – then this is the beginning of a life of respect and dignity. Even if there is minimal infrastructure, once there are jobs, the infrastructure will come. Jobs mean businesses and enterprises and these mean taxes – both personal and corporate – for all levels of government. People with jobs will assert themselves and demand that the Government use those taxes to provide infrastructural amenities. The people may even create the infrastructure for themselves. It’s quite a virtuous circle. 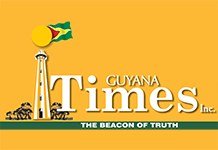 And this should not be some kind of theory to Guyanese, who all have relatives who were barely eking out a grubby existence here – in the canefields, farms or the streets – and then grasped the opportunity to emigrate and work in North America. Within a couple of years, they had a house, a car or two, and money in the bank. Their success offers us a clue to the solution to our problems in Guyana – and this is Jobs! Jobs! Jobs! There are no shortcuts. But this Government has no clue about creating jobs; hence, the Finance Secretary wailing about taxes and gratuitously advising youths to become “entrepreneurs”. They have all the right rhetoric: free enterprise, incentives, investments, profits, etc, etc. The only problem is that none of them have any experience in actually creating jobs. They may know how to appeal to Courts, or rent pharma warehouses or sole source contracts. But open a business that creates jobs and handles the pressure of meeting a payroll every month end? There, we have a problem. And this is Guyana’s problem under the People’s National Congress (PNC).